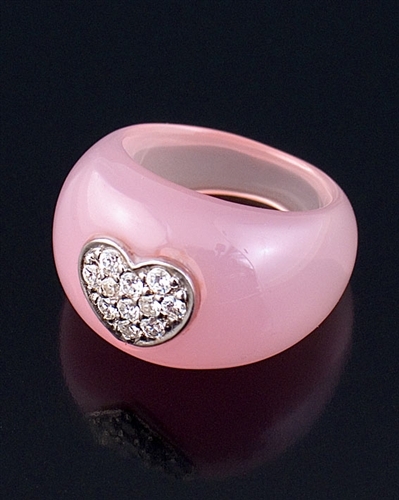 a 20mm pink resin band with a sterling silver heart covered with cubic zirconia in the center. A elegant ring exclusively available at Farfallina.net. Also makes a perfect gift.